Come summer, London takes on a distinctly Middle Eastern veneer. Emiratis and Saudis among many others pouring over to escape the Gulf heat. The shisha cafes do great business, cars block the streets and mobile phone providers greedily dish out data as their streaming services go into overdrive. The leafy streets of Mayfair, once the domain of famous chefs and starry menus, now offer up shisha on every corner, with outdoor seating resembling a night in Beirut rather than Belgravia. 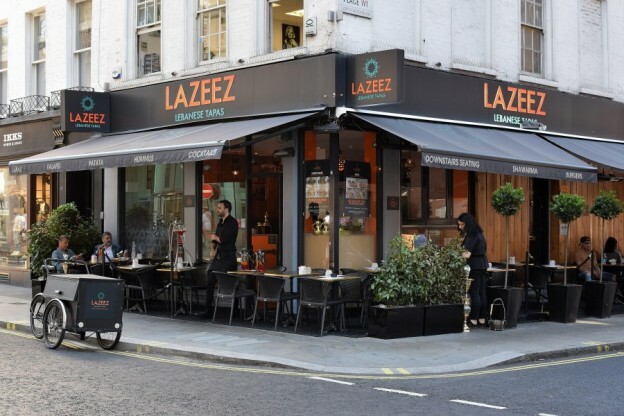 Lazeez Tapas has been quietly establishing a name for itself since it opened over four years ago. 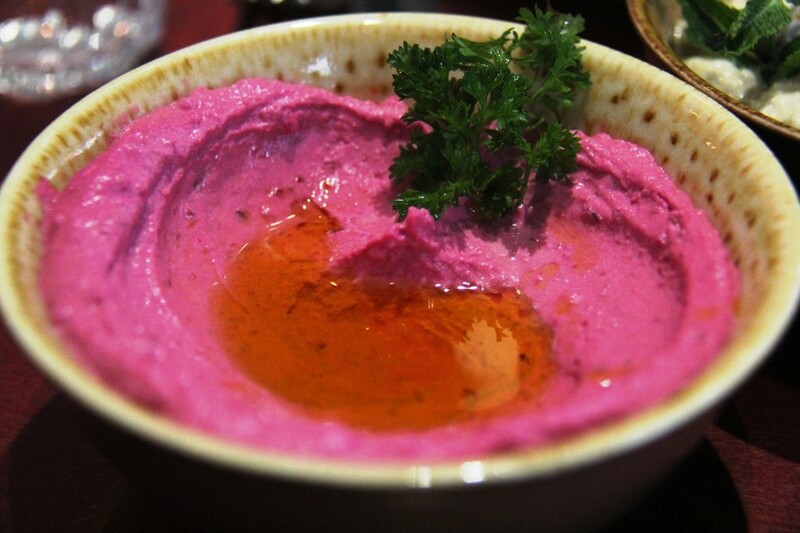 Within touching distance of Selfridges in Duke Street, the authentic Lebanese food from this unassuming restaurant has gained many admirers from within the local Lebanese community. And with good reason. Owner Emilio Malik, a former exotic fruit importer, has ensured the spices, tahini, olive oil and labneh are sourced directly from Lebanon. 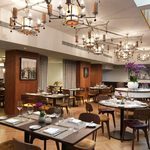 He’s on a mission to bring the Lebanese culture of sharing plates to Mayfair. We grab a window table, perfect for watching the shisha action outside. Lazeez’s own shisha maître d’ personally servicing the line of pipes wrapping around the entire outside terrace. There is a separate shisha menu but the rule is no shisha without a food order and sessions last 90 minutes. Mr Malik clearly knows his stuff. Frankly, I quite enjoy letting the kitchen send recommendations, after all, it’s their shop window so hopefully, it won’t disappoint. There’s also a little buzz not knowing what’s coming next. 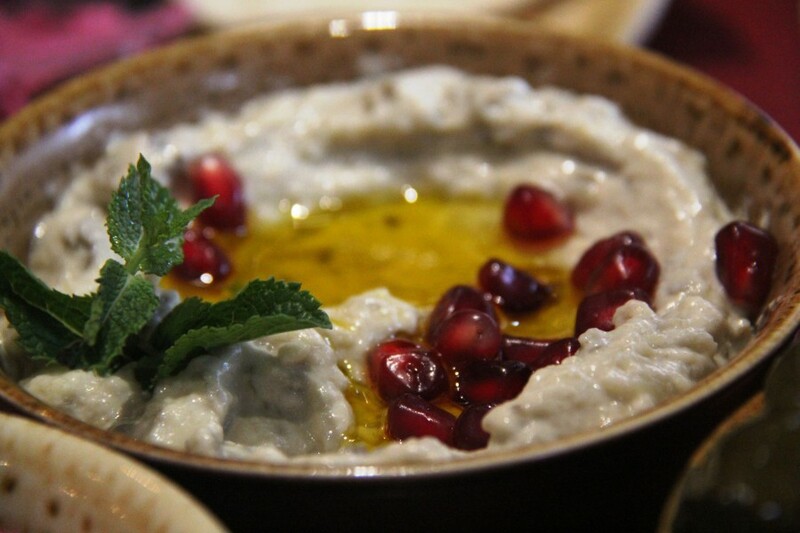 A full bowl of the delicious roasted stuff is delivered complete with a sprig of mint and a dozen pomegranate seeds. The bowl is soon joined by a few others. An equally delicious duo of beetroot hummus and avocado hummus (both £7.50), vine leaves filled with rice, tomato and parsley (£7.50), and, perhaps the best of the bunch, a very tasty potato harra (£7) diced and fried little chunks of potato mixed with coriander, chilli and a lemon sauce. Naturally, a plate of fresh Lebanese pitta was easily to hand for mopping everything up. 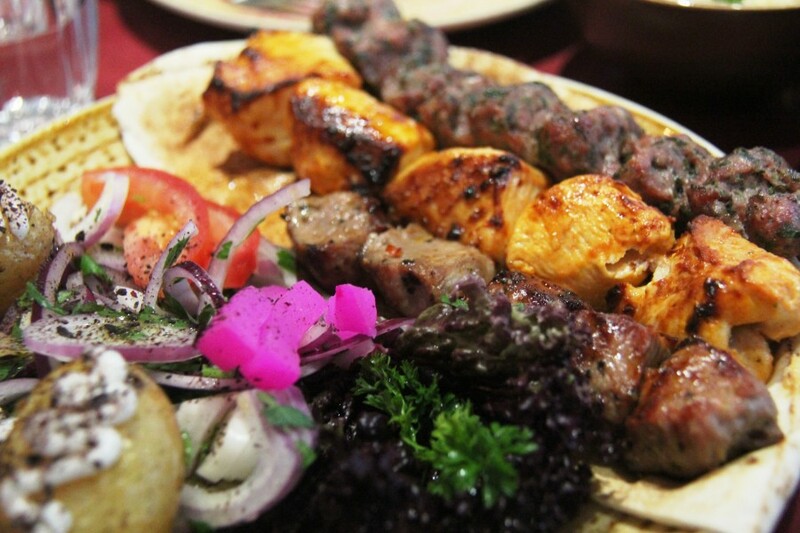 Our waiter is back proudly brandishing the main course; a charcoal-grilled mixed grill (£22) made up from kofta, (lamb pieces grilled on a skewer), meshawi (marinated lamb cubes with tomato and onion) and shish taouk (barbecued chunks of chicken with a Lazeez dressing. 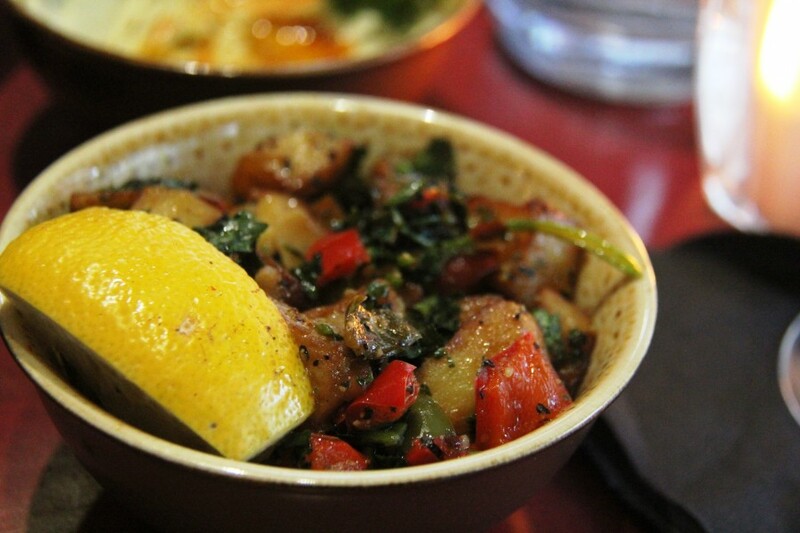 The plate is finished with some Lebanese pickled vegetables and boiled new potatoes drizzled in a garlic sauce. While the mixed grill doesn’t jump out to me as a game changer, (it is what it is, juicy grilled meat) it sits very well with our clutch of very tasty bowls which we are still working through. I glance outside and the terrace shisha seats are filling up nicely. An army of mobile phones streaming films are on the go. 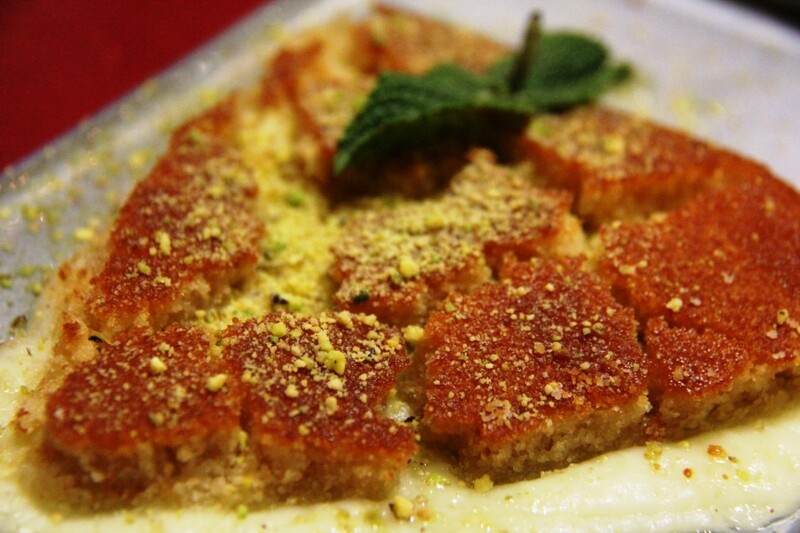 Dessert beckons now; Kunafah, (£8) a traditional hot cheese dish made from Lebaneses cheese topped with a sponge crust and soaked in a not too sweet syrup. 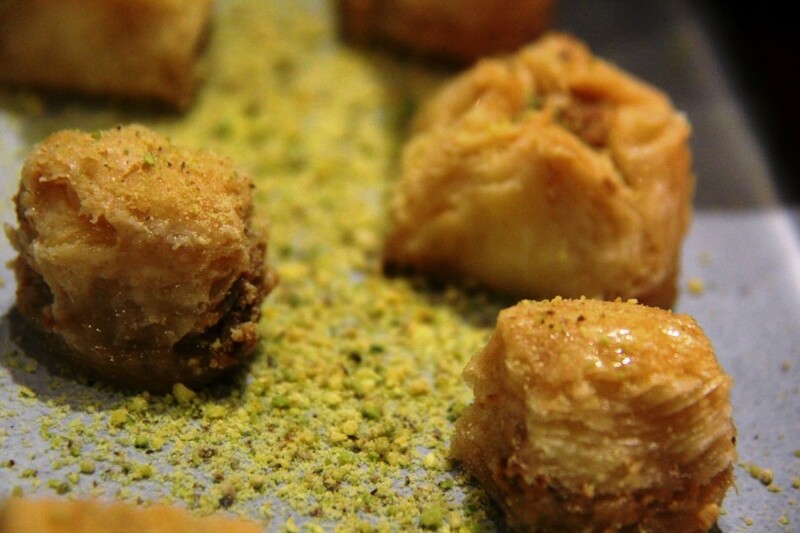 A dish of flaky pastry baklava joins us with a steaming pot of mint tea (£15) to finish. 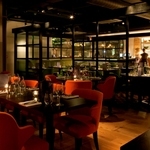 Lazeez Tapas is an entertaining night out. 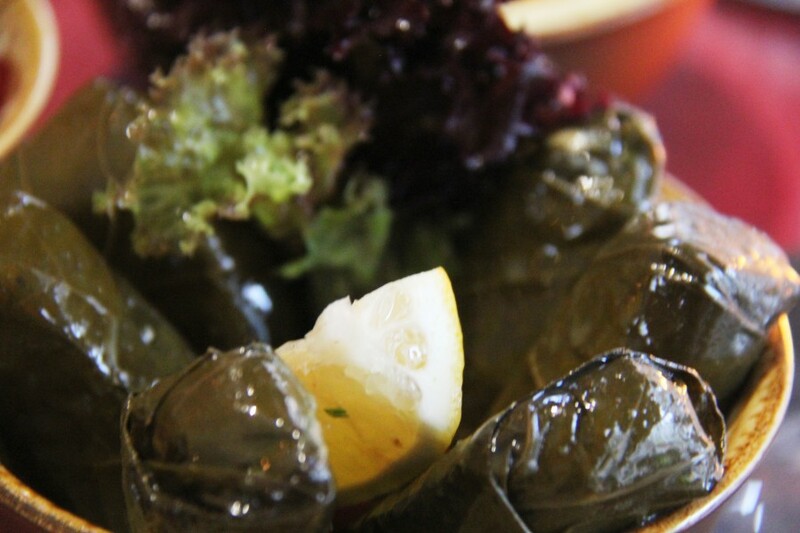 Excellent authentic Lebanese food that, for Mayfair, is excellent value for money. 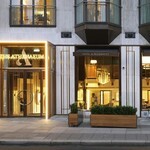 And with Selfridges staying open late, you can shop for a few bargains while you’re there. Monday – Sunday: 11am– 12pm. Kitchen closes at 11pm daily. From the end of June to mid-September, the summer terrace will be open till 1am on Thursday, Friday and Saturday. Various cold and hot tapas sharing combinations are available from £18. 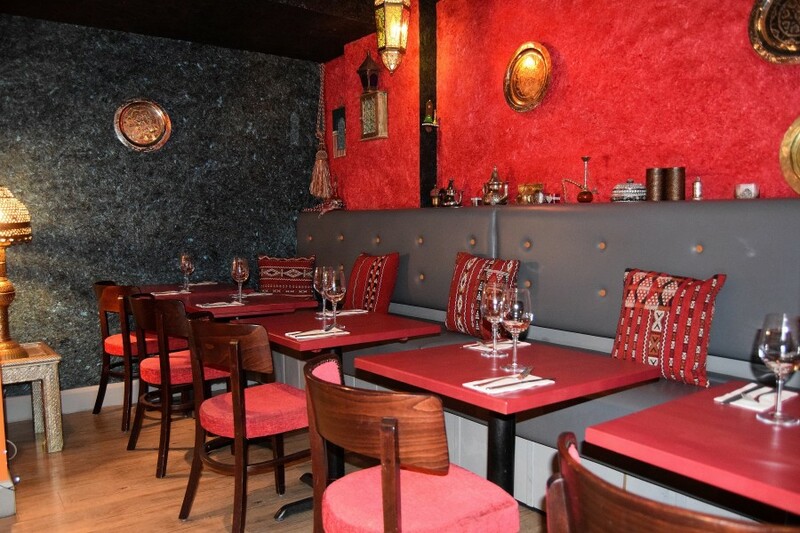 Lazeez now has a sister restaurant in South Woodford Essex called Liban Tapas.